Looking for something wild while in Kenya? Book this program as we take you to one of the finest wildlife reserves in Africa. 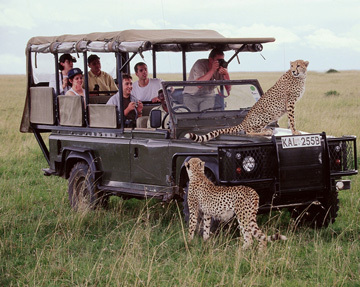 Masai Mara Park is home to the large number of animals and birds and famous for the “Big Five” of Africa. Enjoy safari tours in the park under clear blue sky and experience one of the best wildlife game drives. Don’t miss this great deal and make your visit memorable. 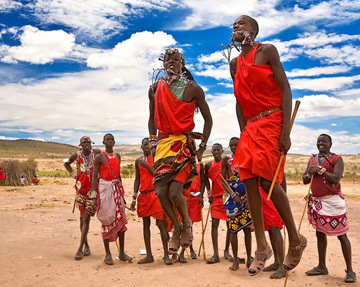 Today early in the morning, we would transfer you to Masai Mara Game Reserve, the jewel of game reserves in Africa. Before the group proceeds, you would be briefed about the tour program. En route there would be a short stop at Great Rift Valley where you can get the picturesque views of the valley. Enjoy en route picnic lunch and arrive at campsite in Masai Mara. Masai Mara is located in the northern part of the Serengeti Plains; it is one of the largest concentrations of wildlife in Africa. Masai Mara is home to the “Big Five” – elephant, lion, leopard, buffalo and rhino. One can also find cheetah, zebra, giraffe, wildebeest, hippo and numerous other animals and species of birds. After arriving at the camp site, get refreshed and then go for an evening game drive. End of a wild break!! Accommodation at campsite in tented en suite camps with built in toilet, hot shower, bedding, mosquito net, electric lighting and power. Game drives as mentioned in itinerary by safari minivan with pop-up roof. Guaranteed window seat in the vehicle for game drives. 1 liter packaged drinking water per person during game drives.